℗ 2016 Tonhalle-Orchester Zürich under exclusive license to Universal Music Classics, a Division of UMG Recordings, Inc.
"The Zürich Tonhalle has a new, 27-year-old music director who has the capacity to excite and astonish and who promises to put Zurich on the international orchestral map in a big way." Recorded to a large extent live, this four-disc collection from the Tonhalle-Orchester Zürich led by Lionel Bringuier is graced by the appearance of star pianist Yuja Wang and award-winning young violinist Ray Chen. 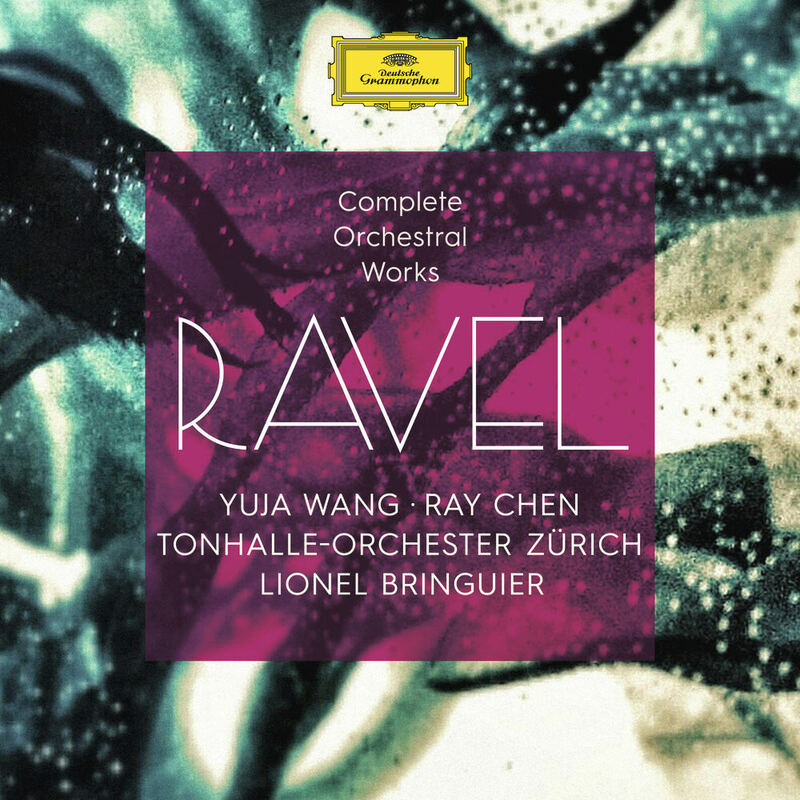 Containing Ravel's complete orchestral works, the box set offers a spectacular array of the composer’s much loved works for orchestra and soloists, including the suspended beauty of the Pavane pour une infante défunte and the exotic lyricism of Rapsodie espagnole.